I remember field trips as a break from reality, a chance to get away from the well-loved but also well-worn routines of the school day. Growing up in Westhampton Beach, New York -- a small town that filled in the summer with “city people” and emptied in the winter except for a handful of locals -- our field trips generally followed the “city people” back to their home in Manhattan. We would go to the Museum of Natural History to marvel at the dinosaur skeletons, or to Midtown to see the Rockettes at Radio City Music Hall. Oh, how I loved the excitement of the big city. What my teachers didn’t realize, I think, is that the message I received was that there was nothing interesting to learn in my hometown - rather, anything worth discovering happened far away, in big cities. 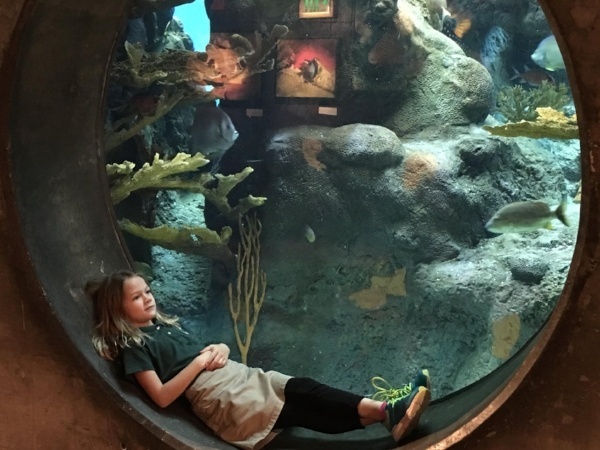 Relaxing during a first grade trip to the Florida Aquarium. What better way to learn about our world than to talk to the people in it? Imagine a group of students becoming real researchers - interviewing and sketching and gathering data - and making firsthand discoveries as social scientists studying their community. 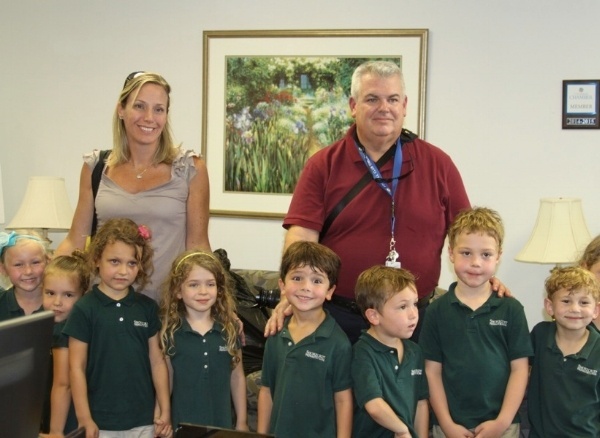 Mrs. Vigue and Mr. Schiaparelli with their kindergarten students at the Salvation Army. One of our goals as a faculty is to continually develop field experiences that turn our learners into question-askers and risk-takers and deep thinkers. So when you see a crowd of green shirts out and about, you are seeing more than a group of children on a trip - you are seeing adventurers and researchers at work. Give us a wave, or maybe explore with us for a while. You are sure to find that our curiosity is infectious, and you may even discover something new about your own world. Dominique Craft is the Lower School Dean of Curriculum and Instruction at Shorecrest. To learn more about project-based learning and field experiences in the preschool, elementary school, middle school, and high school programs at Shorecrest, please join us for a personal tour of the Shorecrest campus.